Setting new year’s resolutions usually involves ways we can better ourselves; things we want to start and things we want to quit. A simple and easy resolution that we should all make a priority this year is personal safety. Accidental injuries are the 3rd leading cause of death in our country, but fortunately, many are preventable. Let’s resolve to look out for our friends, family, and ourselves this year! The following is a list of tips to help you play it safe in 2019. Remember Your Helmet. Whether you’re hitting the ski slopes, heading out road cycling, or trying in-line skating at your local rink, a helmet is always a good idea! We make sure our kids have their helmets on, but adults need head protection, as well! Traumatic Brain Injuries, including concussions, cause 153 deaths per day in the United States. A blow to the head, causing the brain to jar around inside the skull, results in a concussion. Bicycle accidents, falls, and sports-related injuries can result in a concussion, which can be a serious injury requiring medical treatment. Practical measures, such as wearing a well-fitting helmet, can significantly reduce this risk. Don’t Mix Medications Without a Doctor’s Approval! Americans are taking more medications now than any time in history. Drugs come with side effects, and mixing medications can have detrimental consequences. Always let your doctor or pharmacist know every medication you are taking! This protects your safety, as well as those around you. Combining medications without a doctor’s permission can lead to undesired, even dangerous, side effects. In 2019, resolve to be mindful about what goes into your body and the potential side effects. Walking and Texting: a BIG No-No! We have all done it: walking through the parking lot, crossing the street, or stopping in the middle of a busy thoroughfare and we receive a text. We look down for a quick glimpse, or maybe even write a response, thinking we are safe. But recent statistics about the dangers of walking and texting are staggering. On average, in the past decade, more than three people were injured while walking and texting each day, with roughly half of those injuries being fatal. On the preventable injury scale, walking and texting is one of the most dangerous, least considered behaviors. Make it a priority to pay attention to your surroundings, and when you need to text, stop and do it in a safe location, away from moving vehicles and other pedestrians. Watch Your Alcohol Intake. The consequences of binge drinking, or blacking out, are common knowledge: it is definitely not safe nor wise! But even a small amount of alcohol has the potential to alter your decision-making ability. Just a “few drinks” after work with some friends has the potential to become dangerous. Check in with yourself before drinking: will I be able to drive myself home? Do any of the medications that I’m taking increase the effects of alcohol? Have I eaten enough to safely have a few drinks? Again, being mindful of your situation and your body can play a big role in staying safe! Resolving to pay greater attention to personal safety takes a continuous commitment, and the New Year is a perfect time to refocus your efforts. No plan is foolproof, however, and accidents may happen that are beyond your control. 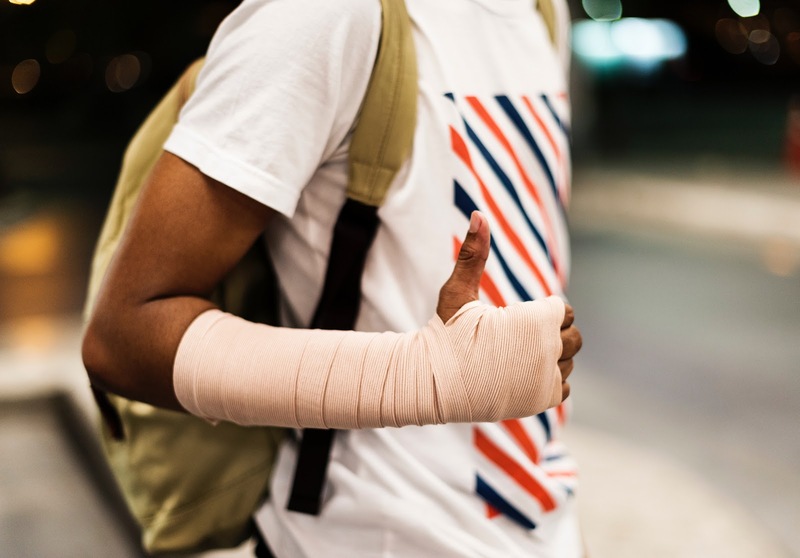 If you are injured and are looking to file a personal injury claim, contact Evergreen Personal Injury Counsel, and our team of legal experts will work to get you the justice that you deserve.